Dublin. CSR was originally appointed in September 2010 to design a cemetery on the 2.71ha site. Preliminary site investigations revealed that the site had for a period been used illegally for (inert) waste disposal. CSR’s role was broadened to coordinate the necessary environmental assessments and to bring the project through the planning process. The suburban site is situated adjacent to the ‘old’ Esker cemetery and across the road from the ‘new’ Esker cemetery which is itself approaching capacity. There is a residential estate to the east, the N4 motorway to the south and to the west an extensive public open space through which the GriffeenRiver flows in a deep valley. The site is zoned High Amenity and is presently used for keeping horses. CSR’s design concept for the cemetery seeks to make use of the site’s valuable attributes – including its domed topography, a small stream (currently culverted) which crosses part of the site in a narrow valley and the surrounding landscape features such as the historic cemeteries, the Griffeen River valley and historic planted woodlands – to create a parkland landscape rich in amenity value and biodiversity. The grave plots are divided into blocks by a network of tree-lined roads and paths that follow the site contours. The culverted stream is reintroduced to the surface in a linear water garden enclosed by terraces of premium grave plots. The boundaries are planted with a corridor of native woodland, except along the street frontage where a response is made to the suburban context by improving the streetscape and creating an attractive new ‘place’ at the site entrance. The cemetery buildings, gateway and boundary wall and streetscape paving are deliberately contemporary but understated, and the building features a green roof to minimize its visual impact on a number of taller houses across the road. CSR appointed Make Use architects to design the cemetery buildings, and Roughan & O’Donovan engineers to address traffic and services including the sensitive issue of site drainage. 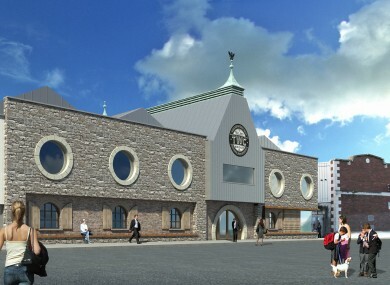 CSR submitted a planning application to South Dublin County Council in October 2010. Due to concerns arising over the presence of illegal waste on the site the Council issued a request for further information (RFI) and CSR coordinated the response, which included an Environmental Risk Assessment prepared by Donal Marron (then of White Young Green Ireland) as well as various ecological and arboricultural reports (prepared by Corvus Consulting and Goodwin-Arborist respectively). 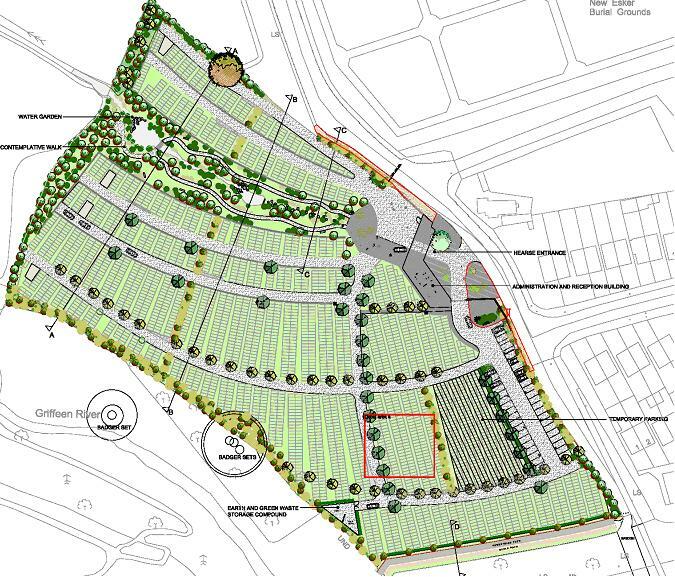 South Dublin County Council granted planning permission for the cemetery in October 2011. The decision was appealed by a 3rd party. CSR submitted a response to the appeal and in December 2012 an Bord Pleanala upheld the local authority’s decision, paving the way for development of the cemetery.